Providing public access to educational material from schools and universities, research and teaching is viewed politically as a means of survival for industrialized countries that have few natural resources, like Germany. 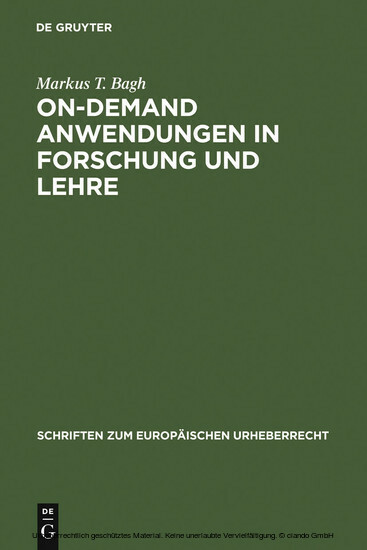 The author examined the conditions that provide for success in research and teaching by means of a legal comparison of the copyright laws in Germany and Sweden. Markus T. Bagh, Universität zu Köln.